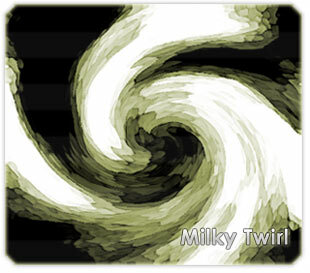 Learn how to use create a milky twirl using special effect filters. 1. Start out with a new document of any size. Set your foreground color to white and the background color to #727272. 2. Next go to Filter > Render > Difference Clouds. Then go to Filter > Artistic > Fresco. Use the settings shown below. 3. Then go to Filter > Render > Twirl. Use the settings shown below or choose your own settings. 4. Your image is basically done, but it is boring because it is in black and white. To make it a bit more interesting add your own color by going to Image > Adjustments > Hue/Saturation. Check the Colorize box then move the arrows around till you get a color you like. When you are satisfied, click OK to confirm the changes. Your final image should look similiar to the image below. Shah Hussain is the owner of FStutorials.com, a tutorial link database site for photoshop tutorials. Visit FSTutorials today!